The Model 1750 is a compact expandable redundant ringing system (30 to 90 watts) with output distribution fuses. The Model 1750 is a state of the art low profile sine wave ringing generator capable of providing up to 60 VA of continuous ringing from a -48 VDC source. 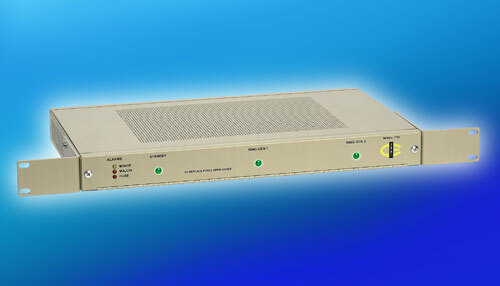 The selectable output is capable of providing 75 or 86 VAC at different frequency choices. Status indicators are highly visible and front access allows easy serviceability. This space saving one rack space (1.75″ high) unit is lightweight and available in 19 or 23 inch configurations. It is ideal for a variety of ringing applications. the hot pluggable ringing modules can be replaced in service without interrupting the operation of the plant. As system power requirements increase units are expandable. Please fill out the following form to download the PDF Manual.